In recent years the IRS has greatly reduced the amount of tax forms that libraries receive. In addition to fewer forms, we will not receive instruction booklets, publications, additional schedules or worksheets. While the printed forms have decreased, we are just as committed as ever to helping you survive this tax season! Printed Ohio tax forms and RITA forms will be available while supplies last. 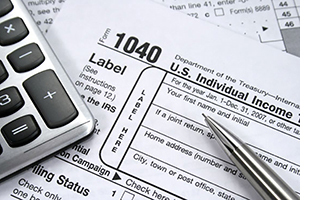 We have binders of most tax forms AND instructions available so that you can make copies. Want to do your taxes online? We can help you get started at IRS.gov on one of our computers. Although library staff members cannot help you prepare your taxes, we are happy to help you find tax forms and resources.